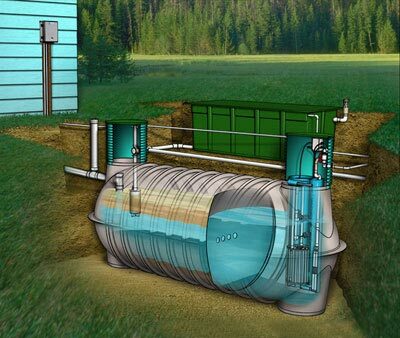 Your septic system is more vulnerable than you may imagine. Without regular septic pumping and conscientious use, you could quickly run into some problems that result in a system less efficient than it should be. You could even end up facing severe issues like drain field failure, which can be costly to repair and potentially damaging to your property. By understanding some of the common mistakes that homeowners make—mistakes that inadvertently cause problems with their septic systems—you can avoid them yourself. One of the primary reasons why homeowners experience septic system issues is a lack of maintenance. Septic systems require regular care — they don’t operate well without it, and no maintenance eventually leads to failure. Depending upon the size of your system, its age, and how much use it experiences, you’ll need to have it pumped every few years. Your plumber can help you determine how often you’ll need to schedule a septic system pumping. Using too much water is another mistake that is easy to make. Washing frequent, small loads of laundry or taking exceptionally long showers every day is all it takes to overload your septic system with too much water. Your system needs to have a steady flow of water as opposed to sudden floods that flush the beneficial bacteria out of the system and push waste into the drain field. The primary treatment tank needs time to break up solids before partly-treated water can enter the drain field. Flushing items that are not septic safe and pouring chemicals and oils down the drain is another big problem. Chemicals can kill off the beneficial bacteria and disrupt the balance in the tank, while some objects can plug the system. Oils and grease can also cause clogs as well as rapid scum buildup, making it necessary to have your septic tank pumped more frequently. Contact your Atlanta plumber and have your septic system inspected on a regular basis. Speak with your technician to understand the specific requirements of your system so you can avoid potential problems. Call Delta Plumbing at (678) 228-8810 if you have any questions. We had a stopped up drain in our downstairs shower and John Shreves came out and was able to diagnose and fix the problem, he also offered us a product that Delta Plumbing sells that should keep us from having the problem again.